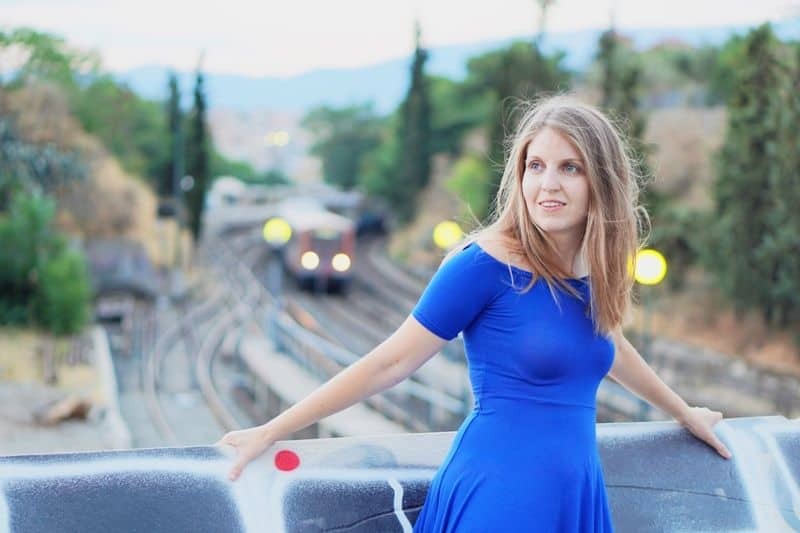 The best travel wallet for women is one that is perfect for keeping all the various travel documents and different currencies safe and secure whilst you travel abroad. 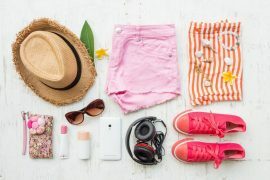 Sure, you could use your everyday wallet that you use at home, but when you travel abroad you will find that you carry a lot of additional things around that you don’t require on a day to day basis. A good quality ladies travel wallet will have a dedicated compartment for all your travel documents such as your passport, boarding tickets, travel itineraries and various currencies as well as your usual ATM cards and credit cards. 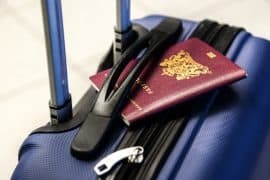 If you use one of the best wallet for international travel options you remove the potential for those stressful situations at the airport where you are searching through your bag trying to locate your passport or travel documents, as a good travel wallet keeps everything you need together in one convenient spot. If you’re looking for the best travel wallet (womens) then you’re in luck! 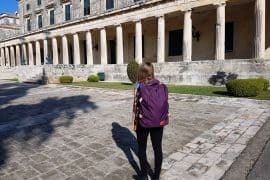 I have done the research for you and compiled a list of the best female travel wallet options currently available. No matter the type of wallet for traveling abroad you’re after, I am sure you will find what you are looking for. 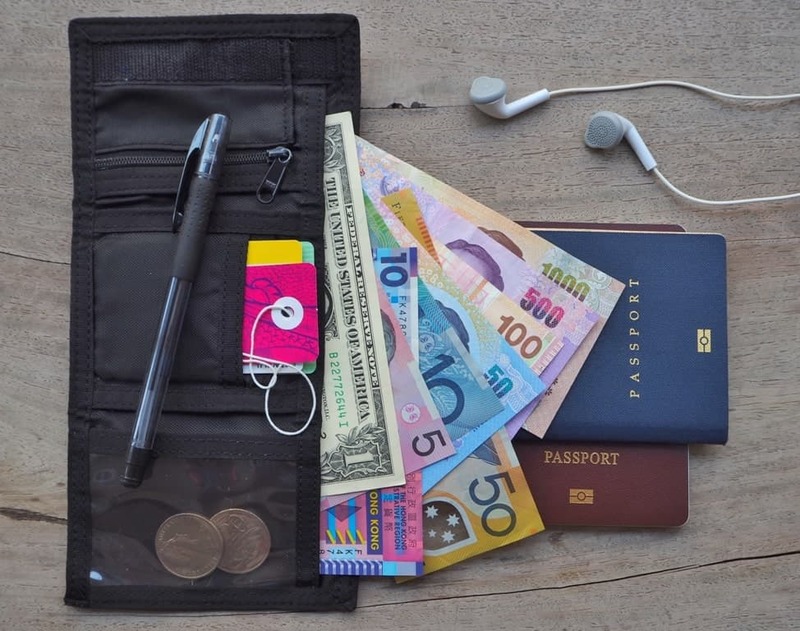 Whether you are after, the best RFID blocking wallet, a large passport travel wallet, the best small travel wallet, a cheap travel wallet or a designer travel wallet I have no doubt you will find what you are looking for in this top travel wallets guide. 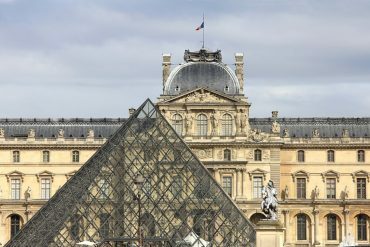 Don’t have time to read my entire international travel wallet guide? My pick for the best ladies passport wallet is the Dante women’s travel wallet. I just love this passport travel wallet because it’s made from genuine leather, has RFID blocking technology as well as plenty of compartments for everything I could possibly need to carry whilst travelling. I also love how it comes in various colors, so I can choose a color that suits me and it all comes at a great price too. Click here to purchase the Dante women’s travel wallet. The below table is an easy guide to various travel wallets in this review. The Dante women’s travel wallet is the ultimate stylish travel wallet, made from genuine leather, featuring RFID blocking technology and containing plenty of compartments for all your travel documents. Despite its affordable price, this leather travel document wallet has a lovely luxurious feel and look. It comes in multiple colors, so you can choose a color that shows off your individual personality. Opening flat, this leather travel document holder has dedicated compartments for all your travel documents. Inside you will find 17 card slots, 1 zippered pocket for coins, 3 currency note pockets and a pen holder. There is even plenty of room for your passport and smartphone as well as a detachable wrist strap. The Dante women’s travel clutch wallet is a high quality RFID travel wallet at an affordable price and will serve you well for years of travelling. Click here to read more reviews or to purchase the Dante women’s travel wallet. Made from 100% top quality genuine leather, the Bveyzi ladies leather travel wallet has a very similar look to the Dante travel wallet featured above with a slightly different configuration of compartments inside. 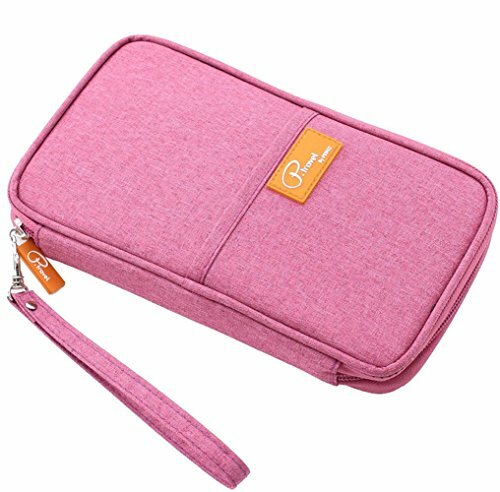 Opening up nice and flat, inside the Bveyzi ladies travel document wallet you’ll find 19 card slots, 1 zippered pocket for coins, 2 currency note pockets, 1 passport pocket, a pen holder as well as removeable checkbook cover. Like the Dante women’s travel document wallet, it also features a removable wrist strap and is big enough to hold your smartphone, including iPhone 7/8 plus. Click here to read more reviews or to purchase the Bveyzi Women’s Leather Travel Wallet. If you’re looking for the largest travel document wallet, then this travel wallet from Globite is a great choice. At 9.6 inches in length, this is the largest wallet in these reviews, earning its position as my pick for the best travel organizer wallet. 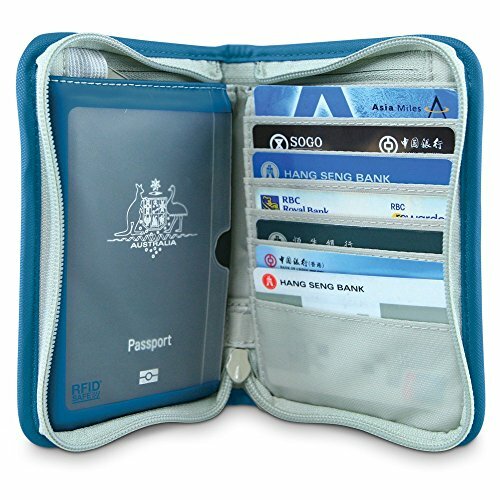 Like the Zoppen wallet below, but with a more casual look the Globite RFID travel document organiser, comes in blue, black or pink. This travel wallet is also fully equipped with RFID technology to keep your personal information safe and secure whilst travelling. 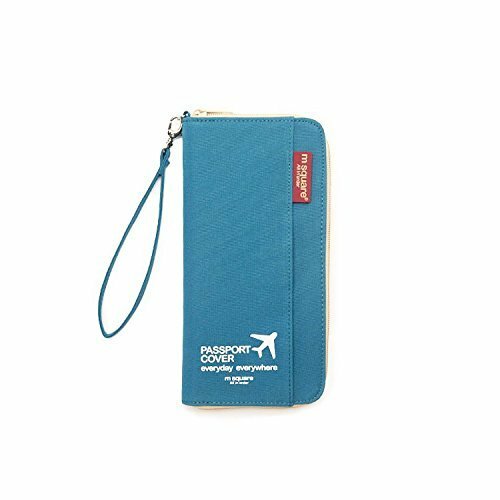 Made from durable fabric, this RFID passport wallet opens flat, so you can easily keep all your travel documents organized. There is space for everything you need including 5 card slots, passport pocket, 2 separate compartments for tickets for bank notes, a zippered pocket for coins, pen holder as well as a handy detachable wrist strap. I also like the pocket on the front of the travel document organizer which is handy to keep your boarding pass in. If you’re in search of a great RFID ladies wallet, big enough for all of your travel documents, this wallet from Globite is the perfect choice. 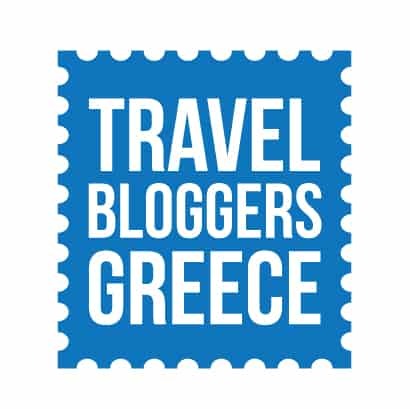 Click here to read more reviews or to purchase the Globite travel wallet. 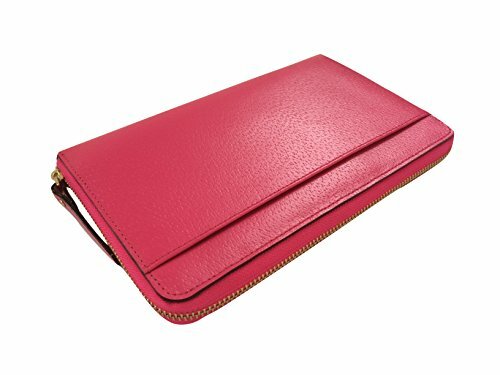 For women who want a luxury travel wallet in gorgeous hot pink, you’ll love this Kate Spade Grand Street travel wallet. Constructed from high quality textured leather with 14 karat light gold lettering, this pink travel wallet is a stylish fashion travel wallet which opens flat easily displaying your various travel documents. Inside there are 15 card slots, 2 longer slip pockets, 2 open billfold pockets and a pen holder. On the outside there is also an open slip pocket. This high end pink leather travel wallet is the perfect choice for women planning on doing a bit of shopping at their favourite stores whilst travelling and in need of plenty of space for those store loyalty cards. 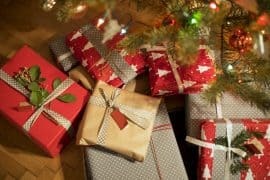 If you’re looking at this guide for a gift for your girlfriend, this would make a great travel wallet for her. Click here to read more reviews or to purchase this Kate Spade’s women’s travel wallet. If you just want a cheap, yet stylish and durable travel wallet, the FLYMEIis the perfect choice. Made from a high density blend of cotton and linen, this travel wallet is backed by a 1 year warranty, so there are no concerns about it falling apart on your first time aboard with it. For a budget wallet its still packed with all the standard features including RFID blocking technology as well as being waterproof. Inside this waterproof travel wallet, you will find space for all your travel documents. Opening flat there is multiple card slots, zippered coin pocket, multiple passport pockets, open pocket for notes and tickets. On the outside of this travel security wallet there is another open pocket suitable for boarding passes and / or passports. It also has a detachable wrist strap. 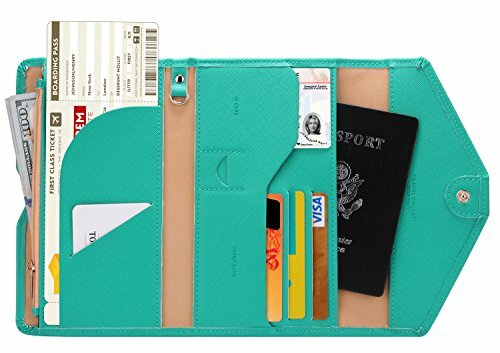 This budget RFID blocking passport wallet is available in 4 different stylish colors as well as being washable, making it perfect it you’re looking for the best travel wallet for backpacking. Click here to read more reviews or to purchase the FLYMEI travel wallet. If you just want a super cute slim travel wallet, this thin travel wallet by Travel Design is perfect for you. This is the thinnest travel wallet in these reviews, so perfect for a short trip. It is also lightweight, made from premium faux leather which gives it a smooth and stylish look. This lightweight travel wallet comes in the cutest colors too like Mint Sky or Flamingo Pink as well as three other gorgeous colors. Inside this compact travel wallet there is plenty of room for your travel documents. There is a passport pocket, multiple card slots, pen holder and cash pocket. This cute travel document holder would make a great gift for a young female traveler off on her first trip abroad. Click here to read more reviews or to purchase this Travel Design travel wallet. Coming in over 30 different funky colors, this Zoppen trendy travel wallet has a dedicated place for everything you can possibly need to carry whilst travelling abroad. This RFID travel wallet has so many different compartments. 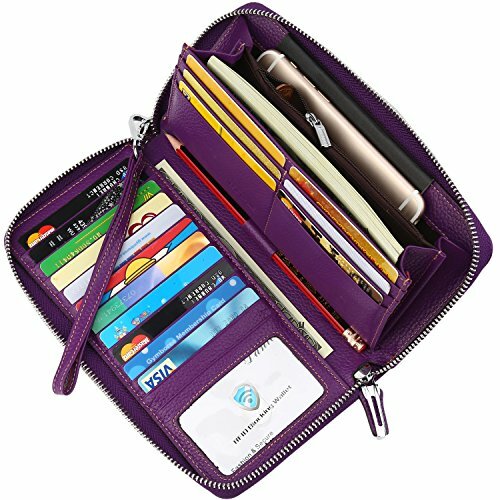 There is a zippered pocket for coins, 3 card slots, passport pocket, pocket for your smartphone, a pen holder, key holder, ticket compartment; there is even a pocket to keep your SIM card in case you change SIMs whilst traveling. You’ll love how it opens flat to easily display all your items, you’ll never get caught trying to find your travel documents at the airport again. This is a super cute travel wallet passport holder and made from high quality ecofriendly faux suede, which feels lovely and soft in your hands. The most problematic thing with this Zoppen pretty travel wallet is deciding which of the funky colors to order it in! This is one of the best looking travel wallets in these reviews and available at a great low price. Click here to read more reviews or to purchase the Zoppen travel wallet. 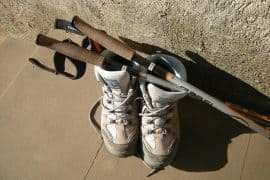 Pacsafe have a well-deserved reputation for making the best anti-theft products for travel, so it’s not surprise that I feature two different Pacsafe travel wallets in these reviews. This Pacsafe anti theft travel wallet is a gorgeous looking ladies travel document holder wallet coming in either black, cranberry or rosemary. This is a zippered accordion style travel wallet with RFID protection as well as a detachable wrist strap. Inside the wallet there is 8 card slots, a zippered coin pocket, mesh passport pocket, 2 open slip pockets as well as an exterior pocket. Depending on the size of your smartphone, it may even fit inside as well. If you want a travel wallet from a brand known for making the best RFID travel wallet, then this option is for you. Click here to read more reviews or to purchase this Pacsafe travel wallet. The second Pacsafe travel wallet in these reviews is much more compact and coming in a bright blue color, could be well suited to women or men. Unlike any of the other travel wallets featured in these reviews, this travel wallet also comes with an adjustable neck cord, so it is also possible to wear it under your clothes for added security. You can even use the neck cord as a shoulder strap as well. Inside the zippered compact wallet there is 7 card slots, a pocket for your passport as well as cash and boarding pass compartments. It is also big enough to carry your smartphone. 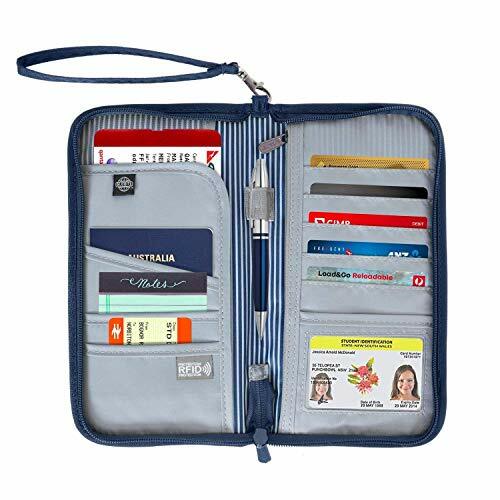 This zippered compact organizer is another great choice those after the best RFID blocking travel wallet. Click here to read more reviews or to purchase this Pacsafe compact travel wallet. TheM Square travel passport wallet is yet another super cute and compact travel wallet, perfect for those looking for a budget option. 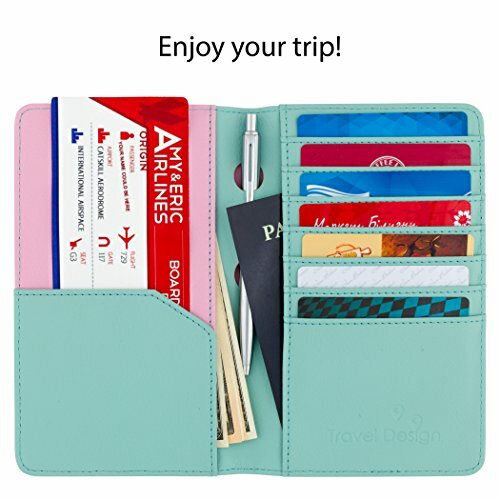 This zippered travel wallet comes in two gorgeous colors, a bright sky blue and hot pink color. Inside you will find space for multiple cards, passport, smartphone, pen, boarding passes and a zippered coin pouch. Click here to read more reviews or to purchase the M Square travel wallet. To purchase the best travel wallet organizer that suit your needs, consider the various factors below. The biggest deciding factor in which travel money wallet to purchase is its size. You of course want a travel wallet that is big enough to fit everything you want to travel with. For example are you travelling solo so only need enough room for one passport and travel documents for one person? Or are you travelling with your boyfriend and will most likely be carrying his passport and documents too? Other factors to consider is how many different currencies will you need to have on hand. I like to have at least two different pockets for my home currency as well as a pocket for the currency of the country I will be visiting. However, you don’t want an oversized travel wallet that is so big that it doesn’t fit into your travel bag, so keep this in mind when deciding which is the best passport wallet for you. Related to size is the design and number of pockets you require in a travel and passport wallet. Once you know exactly what you want to carry in your travel wallet this will help you determine how many passport pockets you need or how many card slots you require. 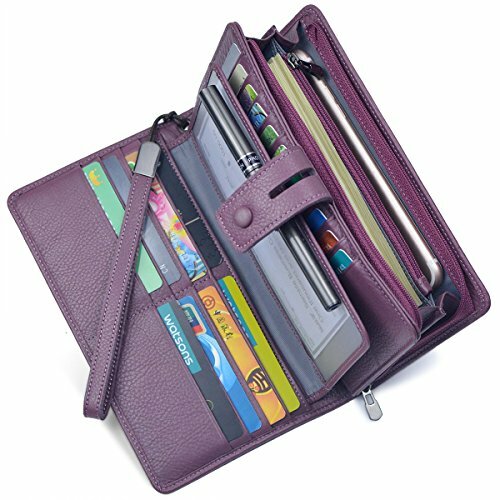 There is no point getting a ladies travel wallet organiser, only to discover it has one less card slot then the number of cards you need to carry with you. Other great design features of travel organisers and travel wallets include a travel wallet with tabs, a detachable wrist strap for ease of carrying, somewhere to attach your keys or a pen holder which is always handy for completing paperwork at the airport. 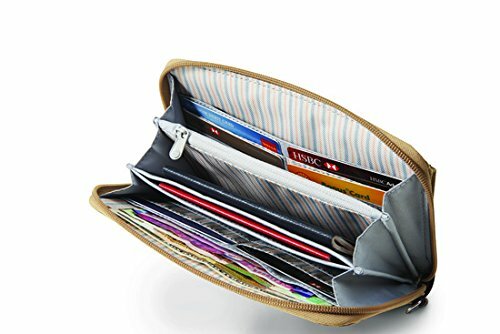 You’ll also need to determine if you prefer a womens travel wallet organizer that opens like an accordion style wallet or the type that opens like a book with various pockets on either side. These days you never can be too careful when you travel and so having a travel wallet with built in RFID blocking is a great feature to have. The best RFID wallet will help avoid having your electronic information stolen from your bank cards and passport. How much do you want to spend? 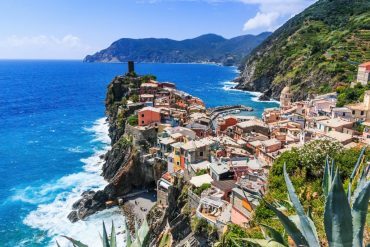 You can get some pretty good travel wallets relatively cheap these days, however if you want a luxurious designer leather wallet with all the bells and whistles and that will last for years to come then there are some great top of the line travel wallets too. Overall, my pick would be for a good mid-range women’s passport travel wallet that is durable enough to last me for a few years of travel. Travel wallets are constructed from a range of different materials with most common wallets being made from either leather or blended with a range of fabrics for increased durability. It really is a personal choice as to which look you like the best. Talking about durability, this is a pretty important factor. You don’t want a travel wallet that’s going to tear or rip whilst you’re traveling around Europe. I’d recommend reading various reviews for the travel wallet you have in mind and ensure its getting great reviews in terms of how durable it is. 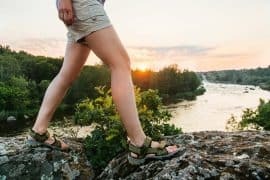 Disclaimer: Travel Passionate is a participant in the Amazon Services LLC Associates Program, an affiliate advertising program designed to provide a means for sites to earn advertising fees by advertising and linking to amazon.com and its partners. Amazon and the Amazon logo are trademarks of Amazon.com, Inc. or its affiliates.